For once, Asher finds himself getting shot at for reasons not of his own making. Well … at least he thinks so. Could go either way really. Forced into the unlikely role of hero on the Ceres Mining Colony, Asher must find a way to stop runaway mining payloads from devastating Mars, all while still achieving his team’s original goal. In a situation where secret agendas abound, Asher fights to save Mars while keeping his own motives unknown. 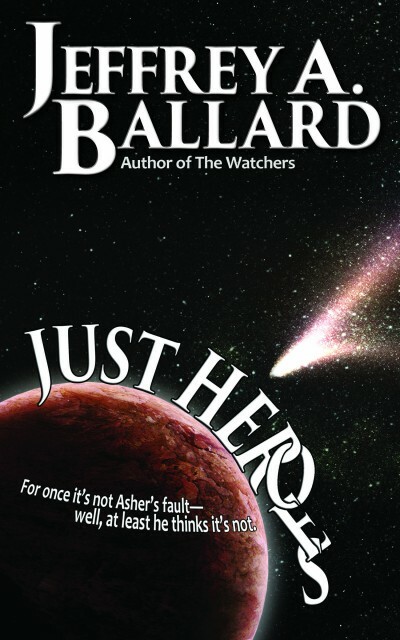 In this cleverly-told, action-filled science fiction novelette, Jeffrey A. Ballard, creates a fun-filled adventure where secret motives and crazy plans abound.